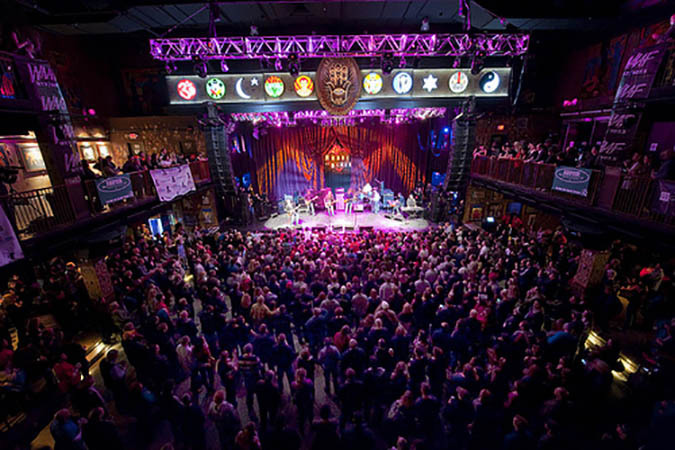 Hands down, the best concert venue in Boston has be The House of Blues in the Fenway area. This venue allows you to get up close and personal with your favorite artist. I was first introduced to this place when I went to see Billy Currington on a Thursday, in concert. You’re probably wondering who that is but let’s just say he is amazing and I was his # 1 fan. The best part about this venue is if you get in early enough, you can literally be touching the stage in the General Admission area. This is what happened to me and The House of Blues became my new favorite spot. I personally love those random Thursday night concerts. If you are into country music, I would recommend Loretta’s Last Call to get you in the spirit before heading over to the concert. Loretta’s has everything country. I am talking chicken and waffles, line dancing and live country music. 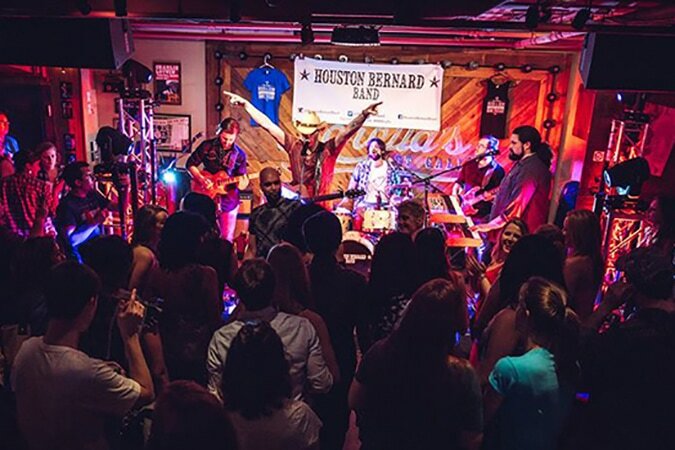 I’m also a big fan of the Houston Bernard Band, who recently played at a friends wedding! This is probably one of my favorite places in Boston. Not into country music? 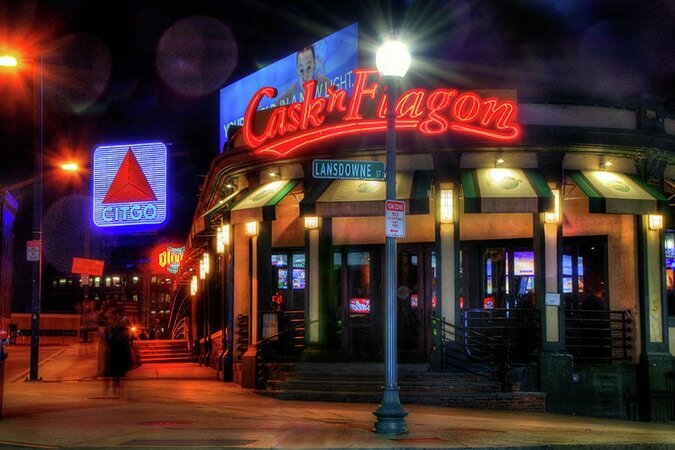 Try Cask ‘n Flagon. Grab a bite and a drink then walk right over to the venue! After you dance the night away at The House of Blues, head on over to the Lansdowne Pub. On Thursday nights Lansdowne has Live Band Karaoke! You heard me right, you get to go on stage and sing with a live band behind you! Karaoke is not my calling but I’ll watch anyone else get up there for some good laughs!